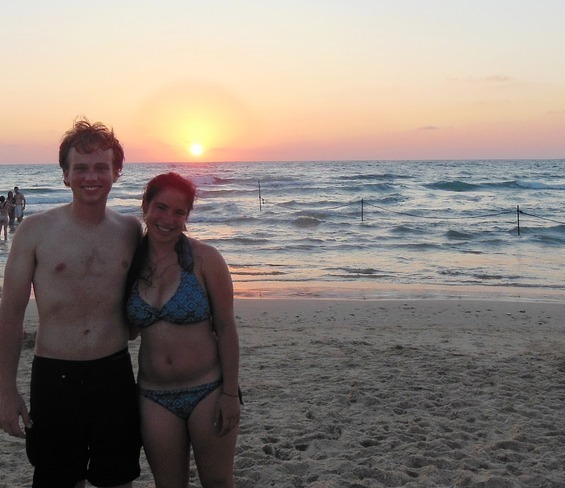 Throughout my 2.5 months in Israel, I’ve had a lot of new and exciting experiences, each teaching me something new about the country or about myself. I’d love to recap this summer by going through those. 1. Stand up for yourself – ask for what you want! This summer I worked at Cortica. I didn’t always love what I did or feel like I was learning. Even a few days into my job I talked to my boss about it to try to enhance the internship, but I just went back to working, expecting that they would implement what we talked about. In a professional world, people are not going to come to you, even if you request something, make sure you see it to fruition. About 4 weeks into my internship this happened. I started taking a machine learning course online to supplement my learning. I also was given more interesting tasks, and sent to Tel Aviv for a few days to work there. These things are what made the internship worthwhile in the end, and would never have happened unless I continued to request them and remind my bosses. 2. Know what you want before starting a conversation. One of the problems in the first four weeks of my job is I would have a conversation with my boss, stating that I wasn’t really learning or enjoying my job and give some vague suggestions, but nothing that I could implement myself. I thought he would just come up with the answers. But, I came to realize that I had to define my internship and figure out what I wanted more specifically. That is when I suggested starting the course, and working more closely with Tomer (a co-worker) in the office on SQL. Those concrete suggestions are what turned my internship around. Because it is always delicious… for some reason. 4. Don’t be scared to try Hebrew, even though you may not be comfortable. At the end of the trip, I was pretty disappointed in how little Hebrew I learned through the trip. I realized this was because I didn’t stick myself out there. Although I didn’t really know much, sometimes I would surprise myself of what I could remember. 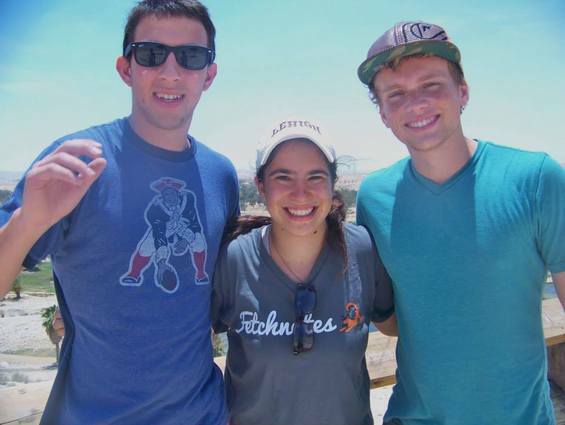 If I would have pushed for more people to help me with my Hebrew and stepped outside my comfort zone, I would have taken a better advantage of being in a country that speaks a foreign language. 5. Don’t forget that you have time… SLEEP! Sleep is really important, and can make you enjoy your days more. So, although it may be fun to live by the saying “Sleep when I’m not in Israel,” it may be more fun in Israel if you have slept! I loved my porch view. I could spend hours out there just staring out into the distance. After that, I started to explore more amazing spots. Max and I found a café at the top of the Carmelit that had an incredible view of Haifa, the Qerayot and then out towards Akko and up the coast. Just going up there for an evening and enjoying Salep (an amazing warm, thick milk drink with nuts and fruit) could make my day so much better. Because where in America can you get Apple Pear Cactus juice? In the beginning of the trip I wasn’t sure if I made the right decision about going to Haifa instead of Jerusalem. Everyone at home suggested Jerusalem because it’s the center of everything and so well-known. I thought it could be incredible to be surrounded by all of the culture. 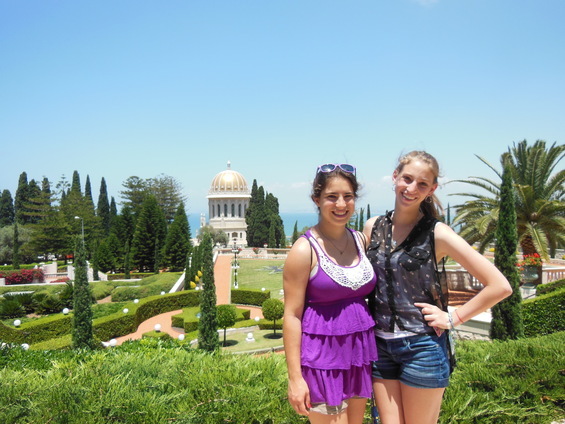 But, I would never have given up the chance to be in Haifa. I found such a connection to the city in the time I was in Haifa. Being somewhere that not many tourists go made you feel a part of the city and like a citizen. I really enjoyed living there and feel that I made an irreplaceable connection to the group, the people of Haifa, the city and the country by being there. In the beginning of the trip, we talked about going paragliding, but who would’ve thought that it actually would have happened. Although not every moment was perfect, I took every opportunity that I could to explore the country. I now go home with so many memories and experience that will stay with me for a long time. I feel that I have successfully made my way exploring new places and situations, like hiking Mitzpe Ramon or enjoying Shabbat lunch or dinner in many different style homes. 10. Enjoy the fresh fruits and vegetables from fruit stands. To me, there is nothing like going to a fruit and vegetable stand multiple times a week for my shopping. I made friends with the owner and he would tell me what new fruits are and give me tastes. The experience gave me a special connection to the people and food from Israel. Also everything from there tasted fresh and amazing. Israeli salads will never taste the same at home. In any new situation, especially a new country with a new group of people, on your own, can be very overwhelming. Although it may seem extremely difficult at first, give yourself some time because soon enough you will have the friends and comfort that you were looking for. It brings so much relaxation and joy. Just a few hours after work can make a hard day relaxing and so enjoyable. Because before you know it, you’ll be on your way home.